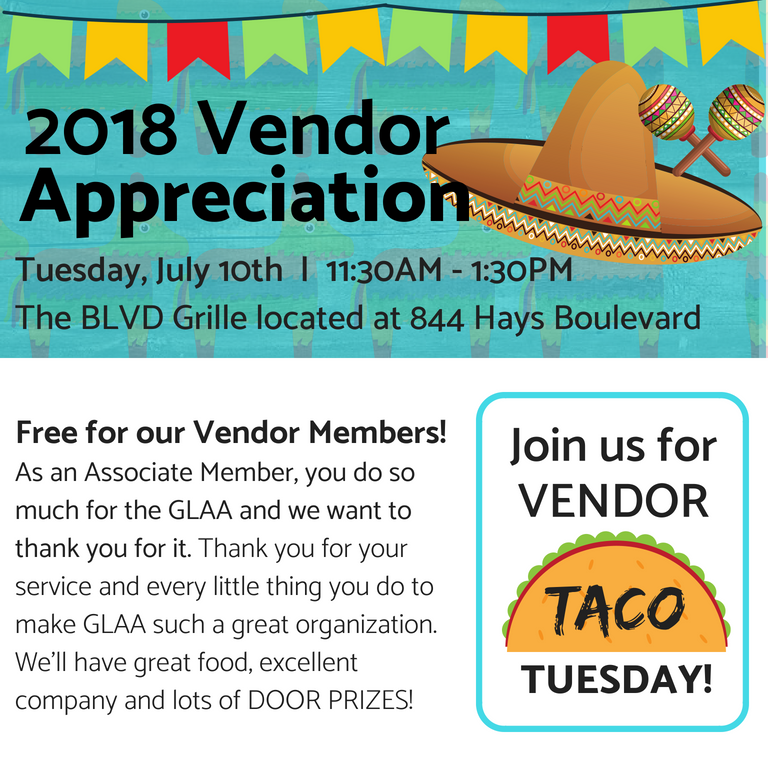 Hey Vendors- we can't wait to see you at our new location The BLVD Grille on Tuesday, July 10th from 11:30am to 1:00pm! REGISTRATION IS NOW CLOSED! | Contact the GLAA Office at 859-278-6540 with questions!